the donut hunt began with four friends looking for some yummy gourmet donuts (since dunkin was just no longer doing it for us). our mission was simple: wake up early friday morning before class or work, ignore the hungover pains and go. we made a list and stuck to it. if a new place popped-up, we would be the first to go. this super hipster place in somerville was our first stop. 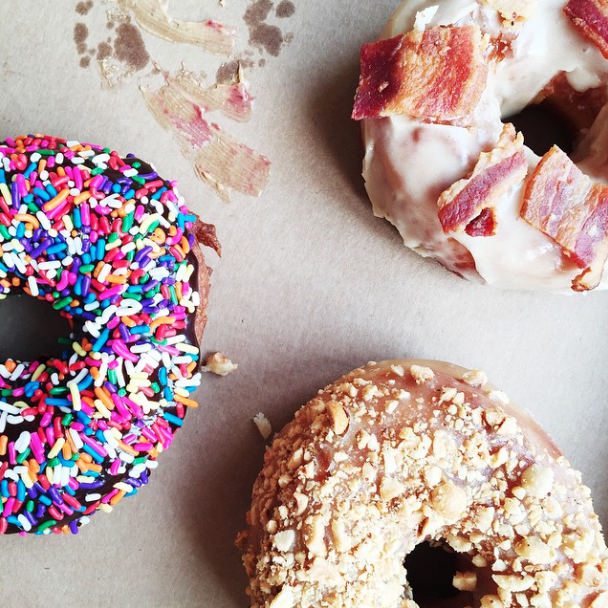 news about a bacon donut has been buzzing around Boston since their appearance in sowa. i was so excited to start our donut hunt, I got a little carried away and ordered three. hazelnut, birthday cake, and peanut butter and jelly. the pb&j was out of this world. a flashback to amazing childhood memories. next stop was blackbird, located in the super trendy south end. this cute small shop has no seating available but damn do they serve good donuts. i was in the mood for an original and simple glaze, and the expectations were defiantly reached. 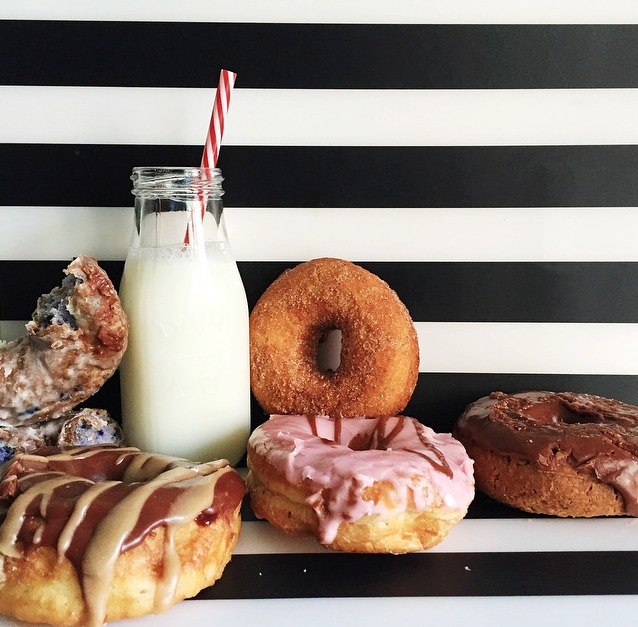 while Blackbird offers a variety of incredible donuts, they also keeps things fresh by creating new products every other month. check out my previous post on this great dough! 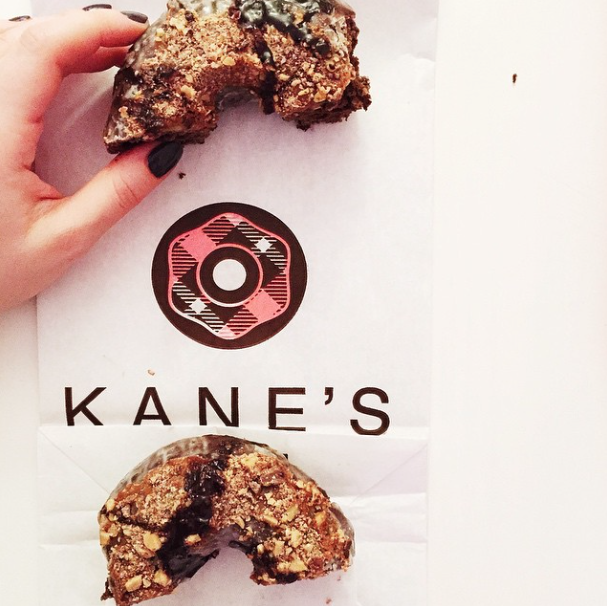 the famous kane’s from saugus, ma. has finally come to downtown boston. we woke up extra early to make sure we got a place in line before they ran out. only two out of the original four managed to wake up. but it was so worth it. honestly, the turtle donut was one of the best i’ve ever had. i will definitely be coming back (considering it’s relatively close to park station and next to where one of the donut hunt’s original participant works). this place is the definition of a “hole in the wall.” But an amazing one for sure. first off-the donuts are only $1, so that is always a plus. dnd while the lady who works there is not very nice-she definitely adds to the charm. 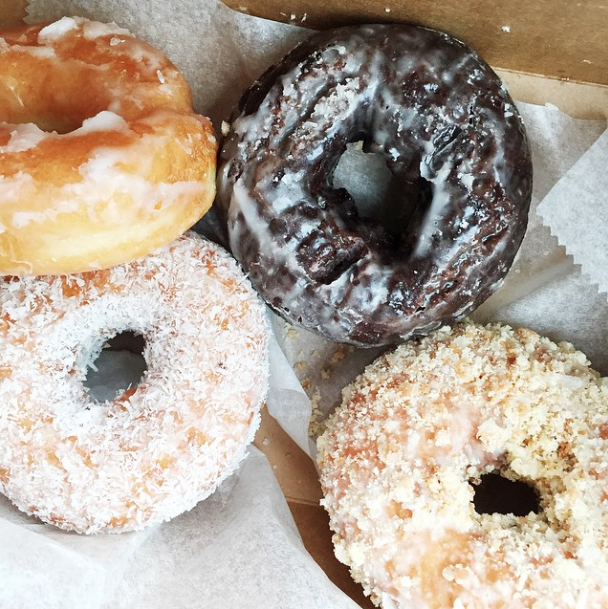 the donuts are also spectacular and fresh. it’s only downfall is the distance. but hey, if you’re every in the need for a sassy lady and a cheap gourmet donut, this is the spot. this bakery provides a variety of cookies and bread, but there donuts are definitely one of the best. the blueberry one was by far my favorite. this place is not supper hip, but it’s a damn good bakery. 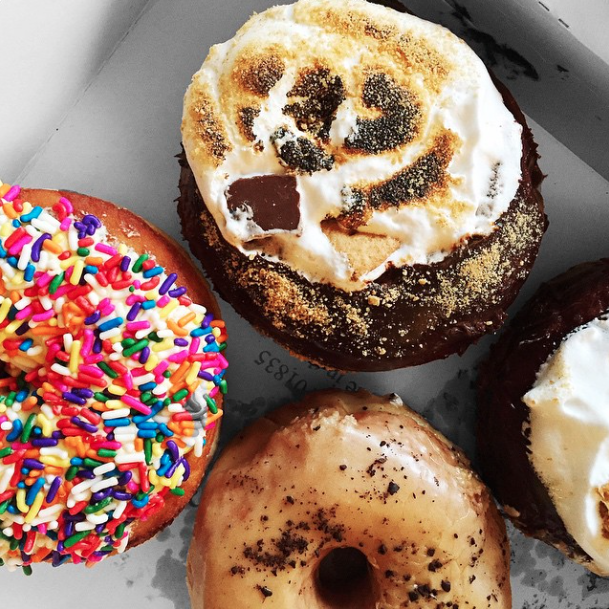 Keep up-to-date through #thedonuthunt on Insta! read more about how it all started here! help me find boston’s best dough). comment below with your recommendations!